Ágota Sipos with friends during the Cafè Català exchange activity. “I like the way Catalan sounds, that’s why I am studying it” says Ágota Sipos, who is in the fourth year of her degree in Hispanic Studies at the Eötvös Loránd University. Her particular degree course offers Iberian-Romance Studies as a specialty, which means that she is currently studying Catalan and Galician language and culture. She describes the immersion in Catalan language and culture at her university as intense and gratifying thanks to her professors, who get the students to celebrate important holidays such as Saint George’s day or who invite Catalan writers to come and talk to students. “In the future I would like to work in the administration of cultural events and, ultimately, do a master’s degree in translation and interpreting”, she explains. The URV student Marc de Bofarull, participating in the Cafè Català. Along with several other new international students from universities in Croatia, Hungary, Poland, Russia and the Czech Republic and researchers in Catalan from France and the UK, she participated in the Cafè Català exchange activity with students of the URV’s Bachelor’s Degree in Catalan Philology. The international activity took place in the Conference Room of the URV’s Catalunya Campus. 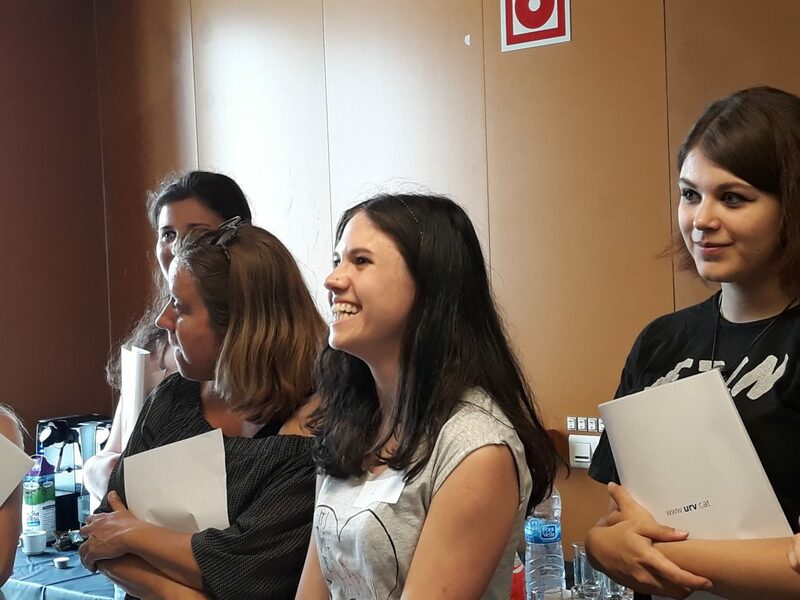 The activity is part of the Litterarum-Móra d’Ebre Cultural Mission, a literary fair that the students attended in Móra d’Ebre from 24 to 27 May. The event is organised by the Institut Ramon Llull (IRL) and the Litterarum. 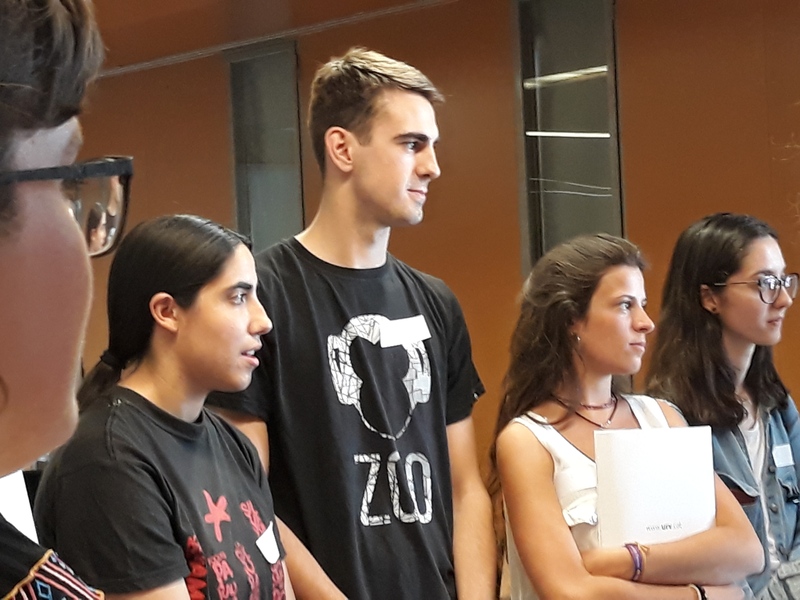 Among the URV students participating in the Cafè Català was Marc de Bofarull, who is currently in the fourth year of the Bachelor’s Degree in Catalan Studies. “I have always loved the language and I really enjoy reading and writing. I know exactly what I want to do in the future, I want to teach Catalan at secondary school level”, he stated. During the Cafè Català the students had an informal conversation led by Glòria Estapé from the IRL about lots of different subjects. Both the native Catalan speakers and the international students actively joined in; some talked about their previous experiences of Catalonia, their own countries, their feelings towards their degree courses, the activities held at their universities, whereas others talked about Catalan traditions and fiestas, about Tarragona, or about career opportunities in Catalonia.